hi everyone. I have been playing pachislots for a little over a year now. me and my friends have been trying to align the Rio bars for the last 3 months and have not been able to achieve this. i have been studying the Japanese language but i am new and unable to read or understand it. i try to read the posts here with google translate but the translations are inaccurate and i still do not understand them. 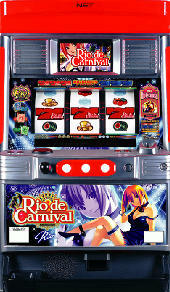 rio de carnival is the only machine we are having a problem with understanding. i can not find any videos on the internet of someone aligning the Rio bars so i do not know when i need to aim for them. any help would be appreciated. i love pachislots and hope to one day learn japanese to help myself better understand the strategies behind them.